Does anyone know where I can find sketches of this building as well as its surrounding buildings? *I would appreciate all of the help I can get. *My email address is NHLNied27@aol.com * *Thank you all! Not necessary to post it twice, man. through the years: near its completion in 1912, far left; in 1944, middle; and in 1912, right. The ziggurat-topped Bankers Trust Building of 1912, at the northwest corner of Wall and Nassau Streets, is one of New York’s most picturesque skyscrapers, in part because of its contrast to the short J. P. Morgan & Company headquarters of 1914 diagonally across the intersection. Setting aside appearances, the two buildings have a good bit in common. Both were designed by Trowbridge & Livingston, both are connected to J. Pierpont Morgan, and both are now in the hands of a development group headed by Shaya Boymelgreen. Three years ago, he used the Morgan headquarters as a marketing office for his apartment conversion of 15 Broad Street just behind it, but Mr. Boymelgreen’s group is keeping the 39-story Bankers Trust Building for commercial use, even converting the lower floors to office condominiums. A group of commercial bankers, Morgan among them, founded Bankers Trust in 1903 to take over certain functions like trust and estate work that were barred to commercial banks at the time. The business grew rapidly, and in 1910 the consortium filed plans for a 540-foot-tall headquarters at Wall and Nassau, with the three lower stories for the trust company and rental offices above. by the firm of Trowbridge & Livingston. unusual for the day, panels of plate glass. In late 1911, The New York Times reported that J. Pierpont Morgan had an option on the 31st floor of the tower, the one with the surrounding balcony, at the base of the pyramid. Morgan let the option lapse, and Gale Harris, in her 1997 designation report for the Landmarks Preservation Commission, speculated on the reason: Morgan may have chosen not to take the space when he learned that antitrust investigations might occur. 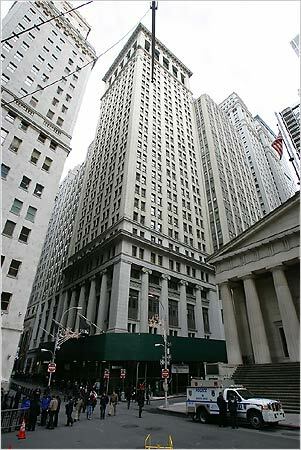 The Bankers Trust Building opened in May 1912, but a month beforehand, according to accounts in The Times, a daredevil parachutist named Frederick R. Law jumped from the top, landing unhurt 40 seconds later on the roof of the old Sub-Treasury, at the northeast corner of Wall and Nassau Streets. Although Morgan did not move to the Bankers Trust Building, he did hire Trowbridge & Livingston to build a new, ultrareserved headquarters for the Morgan bank at the southeast corner of the intersection, completed in 1914. The firm later acquired the building at its rear, now known as 15 Broad. In 1933, Bankers Trust built a tepid Art Deco wraparound addition designed by Shreve, Lamb & Harmon, giving the lower three-quarters of the tower an awkward hug. 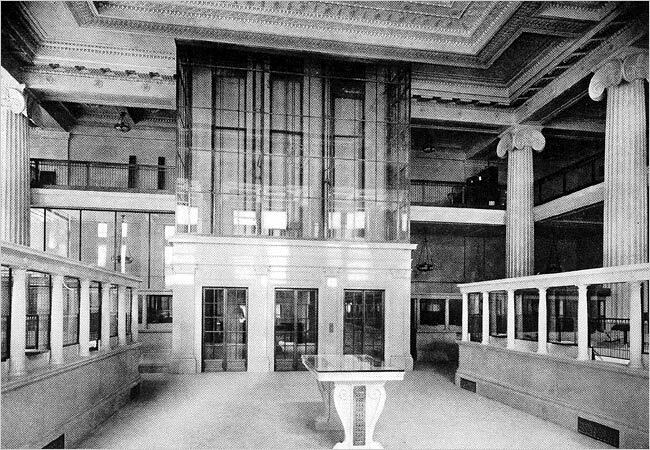 This appears to be the point at which the original 1912 lobby, with its glass elevator box, was demolished. The legend that the 31st floor of the Bankers Trust Building, in recent years used as a restaurant, was Morgan’s private getaway is without foundation, but it’s as sticky as bubble gum on hot pavement. The paneling, fireplaces and decorative details of the rooms are regarded as evidence, but a 1912 article in The Times noted only a single black marble fireplace on the floor. The character of the finishes is perfectly consistent with the 1933 renovation by Shreve, Lamb & Harmon. Edan Shiboleth, speaking for the Boymelgreen group, said that in addition to selling the lower floors, it was close to signing a lease with a restaurant to take over the 31st floor, which will again open up its views of the city to the public. But things have changed. From the broad balcony, where in 1912 only clouds could interfere with the view, tall buildings now ring what has become a relatively puny perch. The 66-story Cities Service Building, a few blocks away, makes you feel as if you’re on the sidewalk. What restaurant patrons will probably not get to see is the fascinating warren of storage spaces directly under the building’s ziggurat. Although the plaster there is falling, exposing the underlying brick construction, everything else appears to be just as it must have been in 1912, when small cubicles were rented out to tenants in the building. Each still has its original paneled door, plus a tiny wire-glass porthole to let in light. Last edited by lofter1; January 19th, 2007 at 06:17 PM. 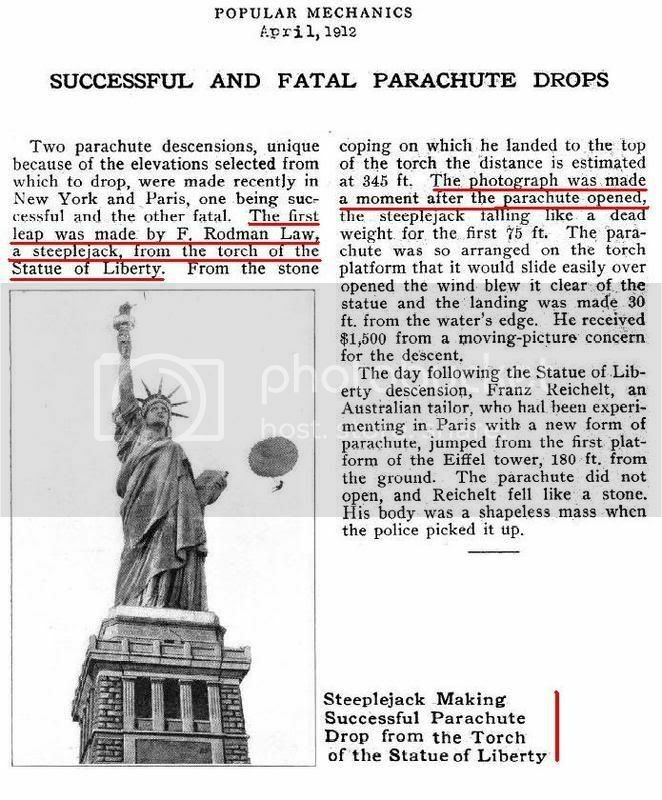 On February 2, 1912, stuntman Frederick Rodman Law jumped off the torch of the Statue of Liberty, using a manually operated parachute called the Stevens Life-Pack. A movie company, Pathe, shot the stunt for a film and paid him $1,500. By trade, Law was a steeplejack who built and repaired steeples and towers, but he became the first “Hollywood” stuntman. His daring cinematic feats included jumping into the Hudson River from a burning balloon that had been dynamited, jumping off the Brooklyn Bridge and leaping off the Bankers Trust Building at the corner of Broad and Wall Streets in Manhattan. 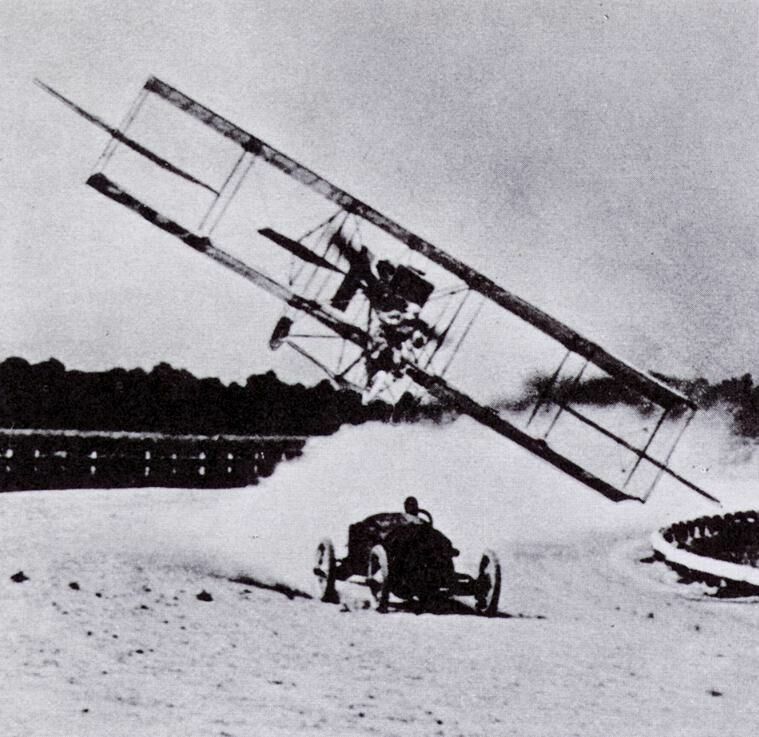 In April 1912, he became the first person to jump from a hydroplane. ... the FIRST film stuntman of importance, Frederick Rodman Law, jumped from Brooklyn Bridge. He was doubling for Pearl White’s co-stars in her famous action series made by Pathe. On July 25, Rodman Law, the inventor of a new style of parachute, jumped from the Queensboro Bridge into the East River, as the stunt was recorded by a moving picture camera. Law had entertained New Yorkers with his leaps from the top of the Statue of Liberty and high buildings in Manhattan. There was a problem with this leap though: his parachute didn’t open. People on board the tugboat that was to pick him up were decidedly anxious about his fate. But Law jettisoned his unopened chute and held his arms close to his sides. He entered the water with scarcely a splash, and a few moments later his head bobbed above the surface. The tugboat picked him up, and he drove away. The jump was made during evening rush hour when riders on a Third Avenue trolley car witnessed Law’s jump from the bridge and gasped in horror. It was not for nothing that pioneering parachutist F. Rodman Law was known to one and all as "Daredevil" Law. Even by modern standards, Law's aerial feats of bravery were quite impressive. Evidently, the motion picture industry thought so, too, inasmuch as Law was starred in several multi-reel actioners, including Fighting Death. Unlike his other films, Daredevil Rodman Law was unencumbered by such "necessary evils" as plot and romantic interest. Instead, the film concentrated on his many death-defying leaps from such heights as the Williamsburg Bridge and the 14th story of the Ansonia Hotel. Aiding and abetting "Daredevil" Law was his equally courageous female partner Constance Bennett -- no relation to the film star of the same name. Then there was the strange, but fully documented, case of Frederick Rodman Law, or just Rodman Law, alias the "Human Fly" and the "Human Bullet." 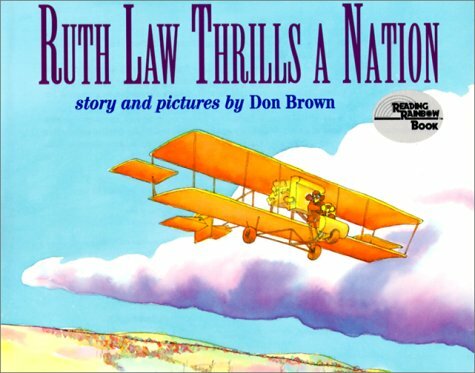 Law was the brother of Ruth Law, a famous pilot, and was a movie stuntman who specialized in parachuting out of airplanes and burning balloons and off bridges, skyscrapers, and other edifices, including the Statue of Liberty. On March 13, 1913, Law climbed into the top of a forty-four-foot-long skyrocket that was pointed straight up at the end of Williams Avenue in Jersey City, New Jersey. The thing had been packed with nine hundred pounds of gunpowder by its manufacturer, the International Fireworks Company (later the Unexcelled Fireworks Company of New York). Law, who sat in the nose of the rocket wearing goggles and what appeared to be a leather football helmet, announced that he intended to fly to 3,500 feet and then bail out. With a crowd of 150 people, including a movie cameraman and reporters from the Herald Tribune and The New York Times looking on, the "Human Bullet" told Samuel L. Serpico, the manager of International Fireworks, to "light the fuse when ready." Serpico did as he was told. "After a few seconds" according to one witness, "there was a terrific explosion with a shock that threw most of the crowd to the ground [as] the big projectile burst into a thousand pieces." Law was thrown thirty feet and landed unconscious, his hands and face scorched and his clothes torn, muddied, and charred. But he soon recovered from his injuries and continued to perform stunts, though never again in a rocket. Rodman Law actually tries to fly with this home-made sky rocket of huge proportions. As this photo indicates, Rodman's attempt to go skyward was a succesful failure. He did not go very far, but he lived to tell about it. You can see him lying in the middle of the wreckage. Last edited by lofter1; January 19th, 2007 at 08:55 PM. of a cannon wearing a parachute. on 1 July, she saw Harriet Quimby fall to her death. daily exhibition flights and carried passengers. had bought her own Wright airplane. 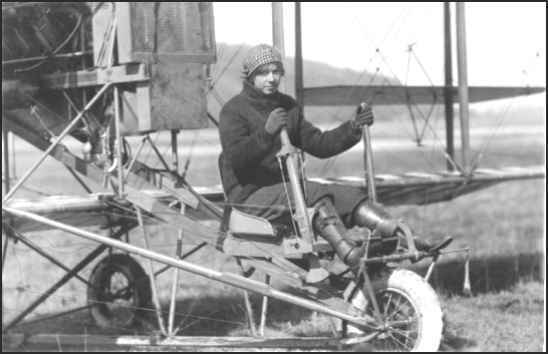 the first woman to fly at night. flights at resorts and meets throughout the East. of looping and aerobatic flying at Daytona Beach. a trick parachutist and daredevil performer. of 452 miles set by Victor Carlstromon 2 November. dinner for her at the Hotel Waldorf. controls that she used for her exhibition flights. then pulling up about two hundred feet above it. Astor. The toastmaster was Adm. Robert E. Peary. 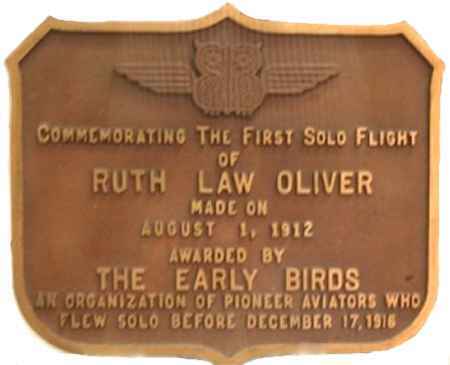 inset, the aviatrix, Ruth Law. much as $9,000 a week for her exhibition flights. contributions to recruiting and to Red Cross and Liberty Loan drives. 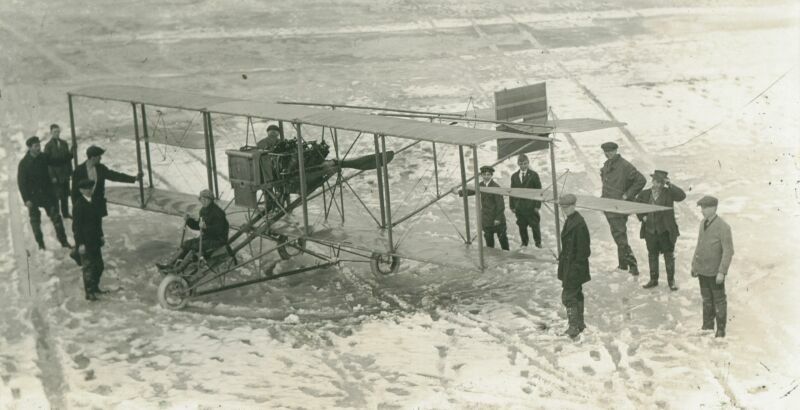 participants in the field of aviation. was awarded to each member. 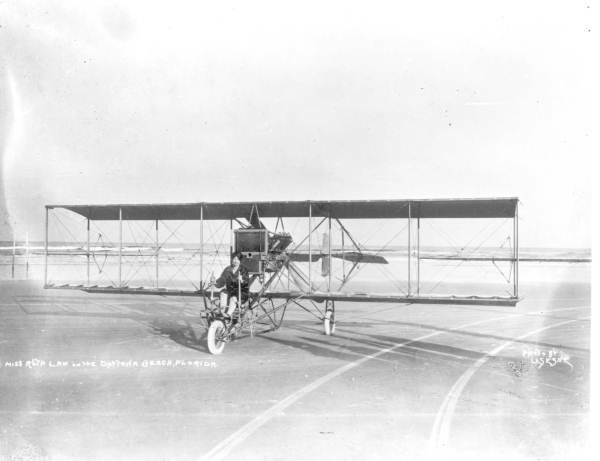 one of the most famous Pioneer pilots. I know I'm way off-topic now, but at this point what the heck!